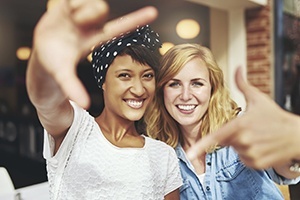 Keeping your smile whole and healthy often comes down to proper preventive dental care. The process is simple: Brush twice a day, floss once a day, and see Dr. Capehart every six months for a regular checkup. If you’re worried about the correct way to implement preventive dentistry, you can ask Dr. Capehart for suggestions. 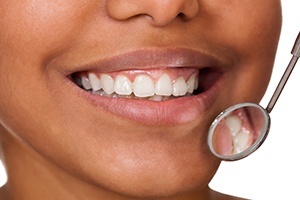 Dr. Capehart enjoys educating patients about proper protocols for brushing and flossing, and can offer advice that caters to your individual preventive dentistry needs. Please contact our Lewisville, TX practice today to schedule your first appointment! Our team welcomes new patients from Flower Mound, TX and other surrounding areas. Truthfully, even patients who take great care of their teeth at home can end up falling victim to dental problems that go unnoticed by the untrained eye. That’s why attending professional checkups and cleanings with a trusted dental team like ours is so important! 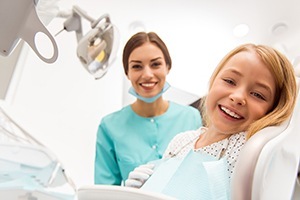 During these visits, Dr. Capehart’s goal is to gain a comprehensive understanding of your unique smile, investigating each tooth, the gum tissue, the bite, the jaw, existing restorations like dental crowns, and more. Once we understand the problems you’re facing, we can work with you to create a treatment plan that meets your needs and exceeds your expectations. Additionally, attending regular cleanings is an important way to fend off decay-causing plaque and tartar that like to settle along the teeth and gums. Our talented hygienists will thoroughly remove these substances (as well as minor stains) from your smile, leaving it nicely polished and refreshed. Some of the hard-to-reach areas of the mouth can be hard to keep clean with brushing and flossing, especially for young children. In particular, the deep pits and grooves along the chewing surfaces of back teeth (premolars and molars) are prime areas for cavities, and it’s not hard to understand why. With the help of dental sealants, children and adults alike can keep these areas much safer and healthier over time. This sturdy plastic coating fits right over the vulnerable teeth and prevents food and bacteria from accumulating. Better yet, the application process here in Lewisville is simple, fast, and pain-free! If you (or a family member) regularly participate in athletic events where physical contact with hard objects or other players is a very real possibility, your smile could be in danger. Thankfully, Dr. Capehart can provide quality protection in the form of a customized sportsguard. Instead of the basic oral appliance you’d find at any store, our versions are highly recommended because they’re designed with your unique mouth in mind, providing greatly improved comfort, flexibility, and sturdiness. Oral cancer may not be as widely discussed in the dentist’s office as cavities and gum disease, but that doesn’t mean it shouldn’t be taken seriously. Quite the opposite – on average, one person dies every hour from the condition. This happens because many cases of oral cancer aren’t correctly identified until they’ve already reached advanced stages. 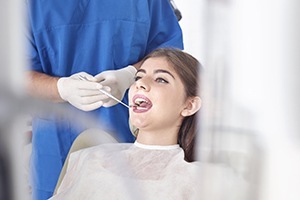 At Capehart Dental, our team takes this threat very seriously, and we provide in-depth oral cancer screenings that can catch suspicious symptoms at their earliest stages of development. Whether you’re experiencing a badly cracked tooth or severe oral pain, dental emergencies are never fun. What’s most important is staying calm and reaching out to a trusted dental professional like Dr. Capehart as soon as possible. Our team accommodates urgent cases as soon as we possibly can, providing compassionate support and relief. We can also provide helpful first-aid information over the phone if you’re unable to reach our Lewisville, TX location right away. The first experience a child has at the dentist’s office can influence their attitude towards oral healthcare for the rest of their lives – that’s why our team here in Lewisville works so hard to make these visits friendly and positive! Dr. Capehart enjoys helping young patients get started on the path towards a happy, healthy smile as early as possible, which is why we offer gentle dentistry that’s personalized just for them. Plus, it’s much easier and more convenient to schedule dental care when you can bring the whole family to one practice! Dental sealants, sportsguards, and other kid-friendly services are available here for your son or daughter. We look forward to growing with them and caring for their teeth and gums through every step of development. 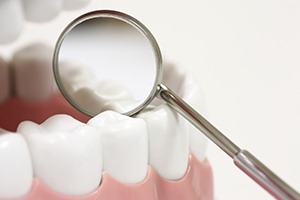 Gum disease (also known as periodontal disease) is one of the most common health problems on the planet, as well as the leading cause of permanent tooth loss among adults right here in the US. It’s clear that while this disease starts off simple, it can quickly spiral out of control. At Capehart Dental, our team closely monitors patients’ smiles for concerning signs of gum disease, and we offer effective therapy if needed to combat the infection right away. 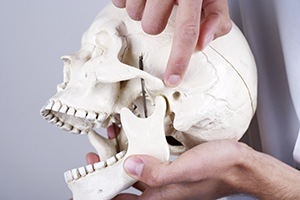 In the United States, approximately 35 million people suffer from TMJ disorders. A patient suffering from TMJD may experience stiffness in the jaw muscles, pressure or ringing in the ears, chronic headaches, pain in the neck and shoulders, or dizziness. 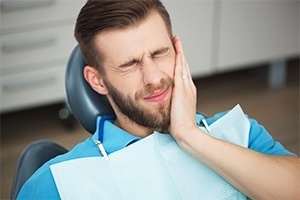 If you’re experiencing any of these symptoms, you might benefit from a bite assessment and a custom appliance designed to help you find relief. Bruxism, or teeth grinding, can blunt the teeth, create facial muscle pain, and increase TMJ issues. We create custom nightguards to help alleviate nightly teeth grinding, alleviating these kinds of issues for greater jaw health.